\After the SP Concept based compact SUV, Kia Motors might launch the Grand Carnival MPV in India too. The Kia Grand Carnival was recently seen testing in India without any camouflage. If launched in India, it will compete against the Toyota Innova Crysta. Kia Motors is all set to launch its first vehicle in India by 2019. It has already announced that its first product is going to be a compact SUV based on the SP Concept which made its debut at the 2018 Auto Expo. Recent developments, however, hint towards the Hyundai owned automaker launching a premium MPV in India as well. The product under consideration for our market is the Grand Carnival MPV. This is a premium product from Kia and is currently on sale in select international markets. In addition to this, the Stonic crossover might also make it to the Indian shores soon. The Kia Grand Carnival was recently seen testing on the Indian roads. The vehicle seen in the spy images wears no camouflage. At the 2018 Auto Expo, Kia had showcased several products alongside the Sp Concept. Out of these, the Grand Carnival and the Stonic were the major centres of attractions. This is the reason why the automaker is considering to launch these vehicles in India in the near future. 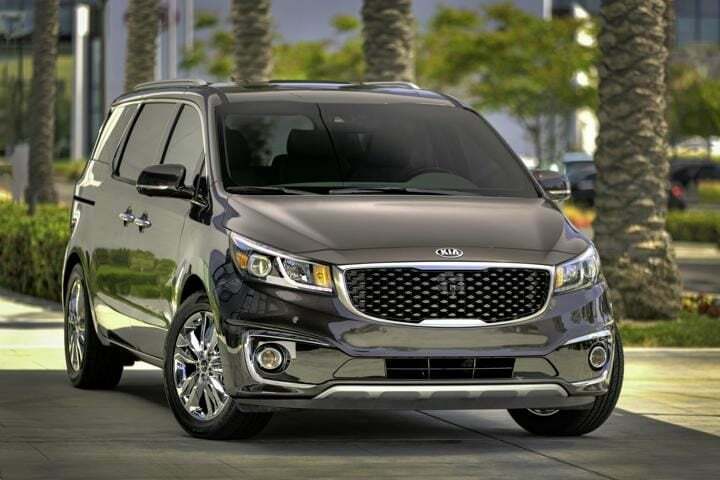 The Kia Grand Carnival is a premium MPV. As a result of this, if launched in India, it will rival the likes of Toyota Innova Crysta. The MPV comes with a very simple yet elegant silhouette. Up-front this car comes with projector headlamps, LED daytime running lights and a large grille which provides it with a dominating appeal. The side profile is clean with no hard creases. While at the back, it comes with wraparound LED tail-lamps and a large rear window. On the inside, the Grand Carnival is designed to pamper the occupants. Being a Kia, it comes with good quality materials. In addition to this, comes with an impressive feature list as well. In addition to an impressive equipment list, the Grand Carnival will also feature a unique seat layout. It is likely to come with seven, eight and even an eleven seat variant. This could help this vehicle ideal for fleet services. Furthermore, this vehicle is going to measure 5115mm in length, 1985mm in width and 1755mm in height. Consequently, these dimensions make this vehicle slightly longer and wider than the Innova Crysta. In the international markets, the Grand Carnival comes with a 2.2-litre, 4-cylinder diesel engine. This motor is capable of churning out 199 BHP of power along with 441 Nm of peak torque. It comes as standard with a 6-speed automatic gearbox. When this vehicle comes to India, the engine specifications might differ. It will come with a number of electronic driver aids. So far, we believe that this MPV will attract a price point of INR 20 lakh to INR 25 Lakh.